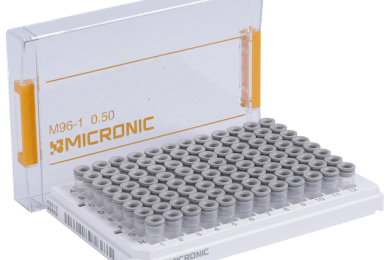 The Micronic ULT racks in 96-well format can hold 96 tubes in the following sizes: 0.30ml, 0.40ml, 0.50ml, 0.75ml, 0.80ml, 1.10ml, and 1.40ml. 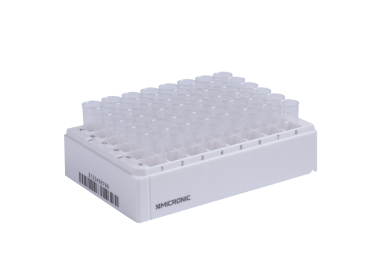 The 48-well ULT racks feature a laser-etched 1D rack barcode on the side and a 'twist-lock' design to prevent tubes from turning during (de)capping. 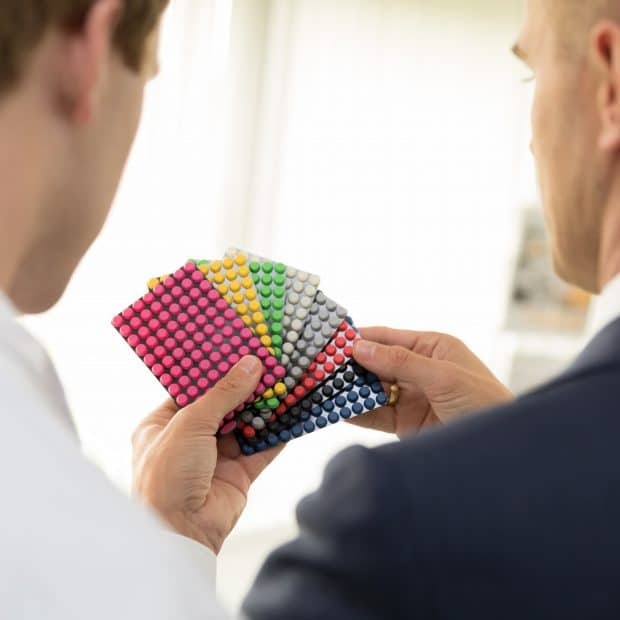 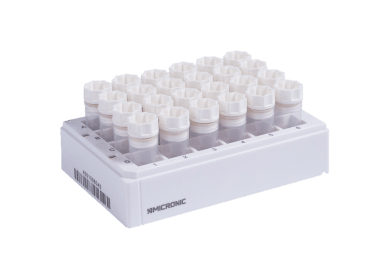 The Micronic ULT racks in 24-well format can hold 24 individual sample storage tubes in the following sizes: 1.50ml, 3.00ml, 3.50 ml, and 6.00 ml.